The Large I-tal Hemp Wick Lighter is an organic hemp and beeswax wick used to replace the dangers of butane lighters and creates a natural, clean burning flame. 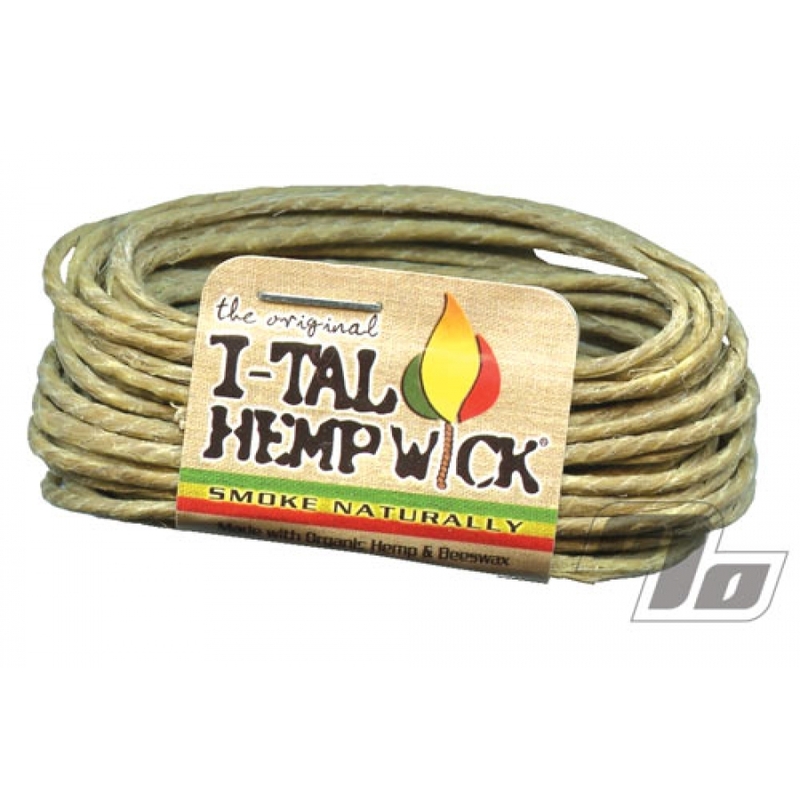 Each Large pack of I-Tal Hemp Wick is approximately 15 1/2 feet long; the equivalent of 6 small hemp wick packs. The wick burns at a rate of about 1 inch per 20 seconds. The Ital Hempwick is a great flame source. The Ital hempwick is an organic hemp twine saturated with organic beeswax that burns hot and clean, while not releasing butane flavors or toxic metals. The flame size can be adjusted by tilting the wick. Use a flame source for igniting the hempwick then enjoy a pleasant beeswax / honey aroma while you enjoy a healthy light. It's hempwick. It burns and then you can light things with it. Great when your fingers are too sticky to use a lighter. I like using wicks, but not everyone will be accustomed to the natural difference in taste that wicks can make. I wish this particular one burned a little slower, but that's the only negative. A good alternative to butane. Love the hemp -- more healthy. Does make a taste difference, to my surprise. Very fast delivery, as usual. Works good, but suggest the thicker wick.